CANADIAN DEFENCE MATTERS: SHOULD CANADA BUY THE TEXTRON AIRLAND SCORPION? SHOULD CANADA BUY THE TEXTRON AIRLAND SCORPION? Robert F. Dorr is a respected author, U.S. Air Force veteran, and retired American diplomat who has contributed articles to Faircount Media Group since 1997. As well as having written a weekly opinion column for Air Force Times he is the author of 75 books and about 10,000 magazine articles, mostly on aviation and military history. He currently has a monthly column in Combat Aircraft magazine. In the March 2014 edition Dorr has both his monthly column, “Front Line” and an interesting article about the use of the T-37B Dragonfly in South-east Asia, not an unfamiliar subject to the author, entitled “Shake and Bake”. It is probably a testament to the vagaries of publishing that the two articles, probably written months apart, came together in the same issue. In his “Front Line” opinion piece Dorr takes on the legacy of Robert Gates, who served as the 22nd United States Secretary of Defense from 2006 to 2011. The author takes Gates to task for his focus on the counter insurgency wars in Iraq and Afghanistan at the expense of preparedness for the kind of near peer wars that Dorr finds more palatable. One of the examples he cites is the experience of the A-29 Super Tucano which he suggests was an unnecessary ‘sideshow’, one which detracted from the main goals of the U.S. Air Force. In “Shake and Bake” he recounts the often overlooked activities of the US Air Force’s A-37 Dragonflies in South-east Asia. Specifically he points out that the skills necessary for close air support in a complex environment are continually being re-invented as the Air Force does not adequately support the concept. Here he points out that many A-37 veterans were disappointed in the inability of their service to acquire A-29 coin aircraft. It is a paradox that the better equipped and prepared the U.S. Armed Forces are for high intensity ‘near-peer’ warfare the less likely they are to find themselves engaged in it. By the same token the more powerful the U.S. finds itself in conventional military terms the more likely it is to be engaged by enemies in unconventional ways. This has certainly been the template for most conflicts that country has engaged in during the last half century. The U.S. is fortunate in retaining its Air National Guard and Reserve formations. The ability of these units to maintain high quality forces at a cost much less then that of regular force units is enviable, and possibly instructive for Canada. The Guard estimates that it provides 35% of USAF capabilities for 6% of budget. This estimate is based on peace time conditions where the reserves have cost advantages. Their simpler bases are cheaper and it costs less to maintain an airplane assigned to a Guard base, in part because of the Guard's older, more experienced pilots who can stay proficient with fewer overall training hours. In Canada we have not had, in modern times, the kind of infrastructure necessary to protect our reserve forces from the depredations of the regular force, particular when budgets are tight. Unlike the U.S., there is no state bureaucracy to make a case for the continued existence and support of reserve organizations. Canadian Defence Matters is not arguing in favour of provincial control of reserve military formations, but rather pointing out that there are no officers in the Canadian Armed Forces whose successful career paths are dependent on the relative health and growth of our reserves. This explains the demise of so many Air Force auxiliary squadrons, which in the past formed the back bone of the R.C.A.F. In 1946, the government approved a new scheme for the air force. This included a Regular Force, an Auxiliary (an active reserve force), a Reserve (a ready reserve force similar to the Supplementary Reserve of today) and the Royal Canadian Air Cadets. The Auxiliary was assigned the role of defending Canada's major cities, a task they would continue for 12 years. It placed the Auxiliary almost on a par with the Regular Force, operating not only flying squadrons but also radar units, medical, technical training and intelligence units. This continued until 1962 when the CF-100 squadrons were withdrawn without replacement. There are currently 2 squadrons described as “reserve heavy” as well as numerous individuals employed by regular formations at all levels. The Scorpion at first glance may seem like an unlikely candidate for consideration by the R.C.A.F. However the Scorpion is designed to be affordable, costing US$3,000 per flight hour, with a unit cost expected to be below US$20 million. This means a per hour flight cost of something like one tenth that of a modern fighter at one quarter the purchase price. 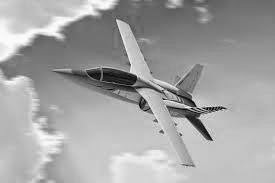 The Textron AirLand Scorpion may not be suitable for high energy, near-peer warfare. What it is designed for is “domestic interdiction, quick-reaction natural disaster support, air sovereignty patrols, and low-threat battlefield missions”, just the kind of commitments that Canada needs to be able to meet, just the kind of roles that a renewed and re-energized Air Force reserve could fulfill.